Zombies rarely have good hair days. 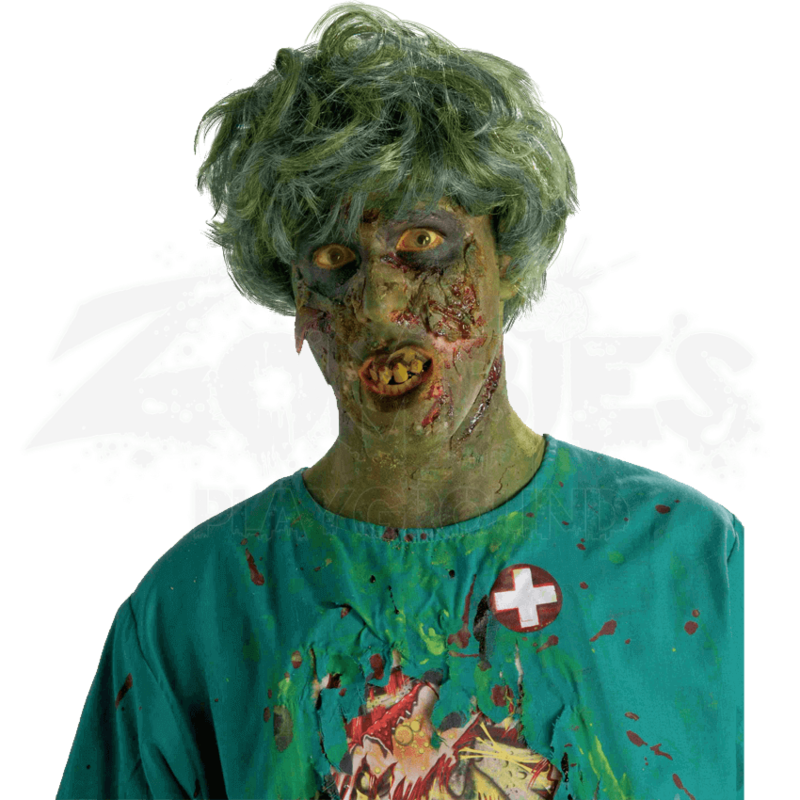 For proof, look no further than the Noxious Biohazard Zombie Wig, which is an ideal head of hair for a zombie. Far from pretty, it features eerie green color indicative of advanced decay. This wig of messy hair is a great touch for any zombie that wants to look like they just rolled out of their grave. The wig consists of short, tousled hair that is rather green in color. The wig utilizes several different shades of green, as well as touches of gray, to create a multi-colored look that is quite striking to look at. A zombie with good hair? 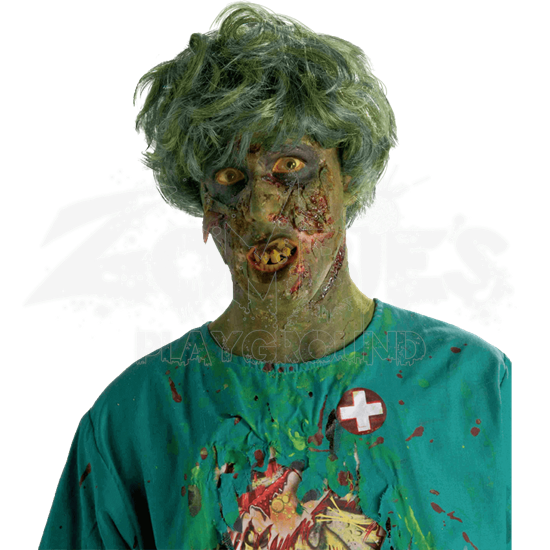 It is almost unthinkable, although in all truth, this Noxious Biohazard Zombie Wig is the perfect hair for a zombie.